If you mail out 10,000 pieces at .31 per piece, your cost would be $3,100. Our average customer will get 30 new customers (at a minimum) on their first mailing with 25 bringing in a coupon & 5 customers coming in without a coupon. On average 75% of the new customers bring in a coupon on their initial visit. The average first time oil change customer will spend $90 – $110. Based on 30 new customers that come in to your shop, you will earn approximately $3,000 from this initial visit. The average customer will have a 75% retention rate, so approximately 23 customers will come back for a second visit and the average spend on a second visit is approximately $190 – $200 per ticket. For 23 customer that would earn you approximately $4,600 on the second visit. The third visit through the next 24 months, the average customer will spend $2,000 – $3,000 with a shop. 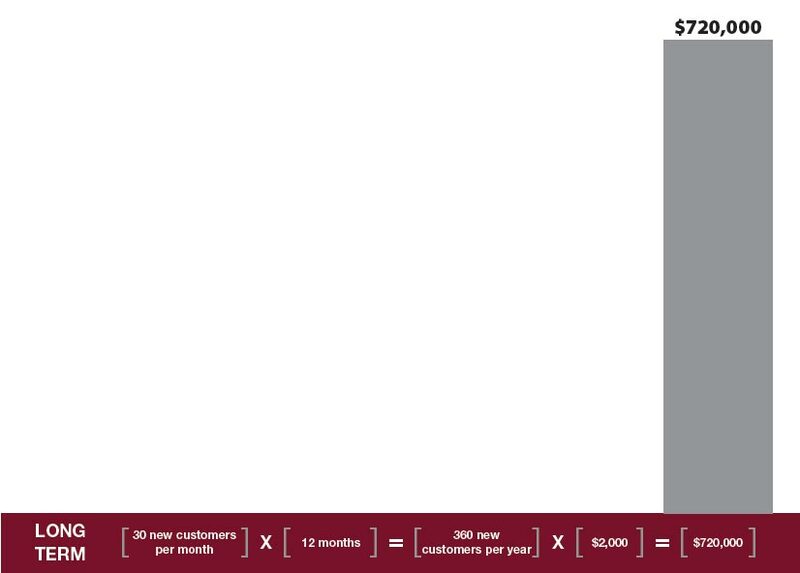 So after 12-24 months, the average customer will spend over $2,000 with you. Take the 23 customers that you earned from that one direct mail piece and you earn $7,600 in just the first few months and over $46,000 over the next 24 months. This is how we judge both short and long term profits based on your direct mail program. This is also why we want to consistently mail the same areas each month, because we need to get the next group of 30 new customers to walk through the sales process. It takes six impressions over 3-4 months to get a customer’s attention. Imagine adding just 30 customers per month to your business. Annually that would earn you 360 new customers or approximately $720k in long term sales. If your car count is down, your competitors are picking at your customer database. Direct mail will give your business stability by consistentlystaying in front your customers and it will provide growth by generating new customers to help you grow your business. Use a Free Call Tracking number to log and record your inbound callsfrom your postcard. You can track your response and use the recordings to make sure your staff is servicing your customers correctly. Use our Free Database Matching that takes your database over a specific period of time and matches it up with the actual areas you mailed your postcard to see how many people who got a postcard responded toyour postcard offer. Adjust your offers as you grow your customer database to get a better return and a better customer.